It may not seem significant that CBS Consumer Products will handle Trek XI licensing, but one must remember that Paramount Pictures (the maker of Star Trek XI) is part of Viacom and a totally separate corporation from CBS (which includes CBS Paramount Television, CBS Consumer Products and Simon and Schuster…all of which are involved in Star Trek). When Viacom split into two companies earlier this year, Star Trek ended up like a child with joint custody. That being said I am told that there is a good working relationship between the Trek XI team (at Paramount Pictures) and the people at CBS Para, etc., and they are looking forward to working together. Perhaps the best indication of this relationship was the release of the teaser poster on ST.com (part of CBS Para). I have been told that ST.com will be the home for Star Trek XI…again this may seem obvious, but Paramount Pictures has their own website as well as subsites for each of their upcoming releases (like the Orci and Kurtzman penned TransformersMovie.com). 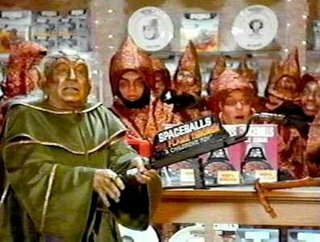 Star Trek now brought to you by…. As examples they cited Kevin Smith’s ‘Chasing Dogma’, Brian Singer’s Superman Returns Comic Book series, the Star Wars Clone Wars cartoons bridging the gap between Ep. II and Ep. III and the Animatrix animated backtories for the Matrix Films. Variety notes that these products not only provide backstory for hungry fans, but also help promote the films. One of the more ambitions tie-ins seems to be from Titanic creator James Cameron whose upcoming scifi pic Avatar (also slated for 2008) promises to just be part of a expansive multimedia experience, including a new MMORPG. The Star Trek universe is rich with books (and some comics) which have filled many ‘gaps’ between the films and the TV episodes, but these are considered ‘non-canon’ (in other words…not ‘true’ within the universe). Plus these books and comics often come out years or decades after the theatrical releases (with the exception of the 10 Film novelizations which have always come out on the same day). 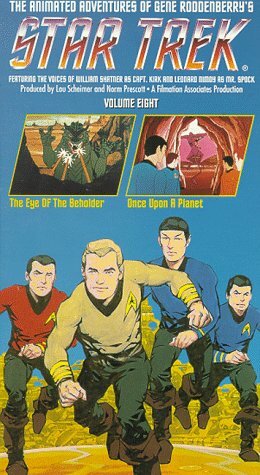 Plus the Trek universe hasnt seen anything animated since the 70s and there currently is no liscense holder for Comic Books (excluding the Tokyo Pop ‘magna comics’). There should be more to licensing than toys and action figures. Trek film tie-in games have always been subpar and I hope they put more of an effort into it this time. It is worth keeping an eye on the upcoming Lost game to see how well the Lost team (which is the Trek 11 team for the most part) create an effective and well made game tie-in. 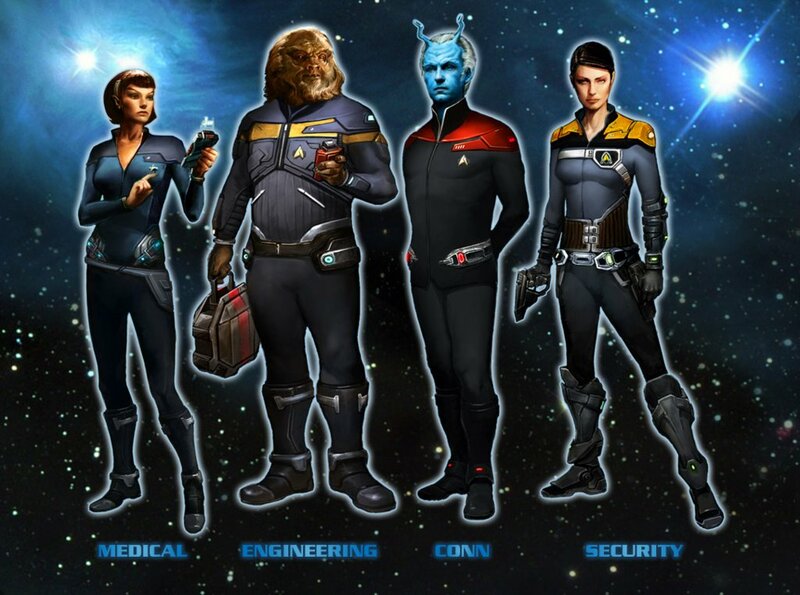 Another strange coincidence is that there already is a Star Trek themed MMORPG in development and scheduled for full release in 2008 (same as Trek XI), however that game is set in the post Nemesis time period (over a century past the rumored TOS era of Trek 11. It would be interesting if they could somehow create a tie-in with the new MMORPG…its not like Trek hasn’t played with time travel before. I am SO cheating at this whole “first” thing by going to ancient articles. Hey That one Guy. I finaly caught you. Lol.